Grapevyne is a one-stop website with trustworthy and up to date information on where to go, where to buy and what to do in Saigon, with or without children. The goal of its founders is to share their insights with anyone who is passionate about Saigon and wants to stay tuned in about all the great things this city has to offer. 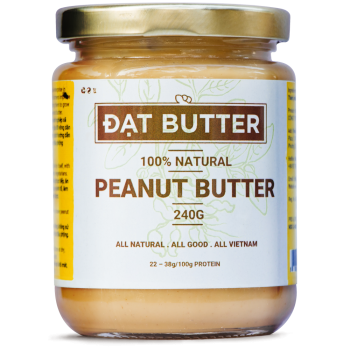 ByNature is proud to work with DAT BUTTER, a social enterprise helping farmers improve their income by education on how to grow all-natural peanuts and cashews. They also learn sustainable production of nut butter, thereby creating their signature products. DAT BUTTER only uses top quality local ingredients that ensures the consistent smooth, creamy and healthy taste. Each jar is filled with nothing but natural ingredients.